WARNING: The contents of this post may disgust you. I don’t clean my makeup brushes! 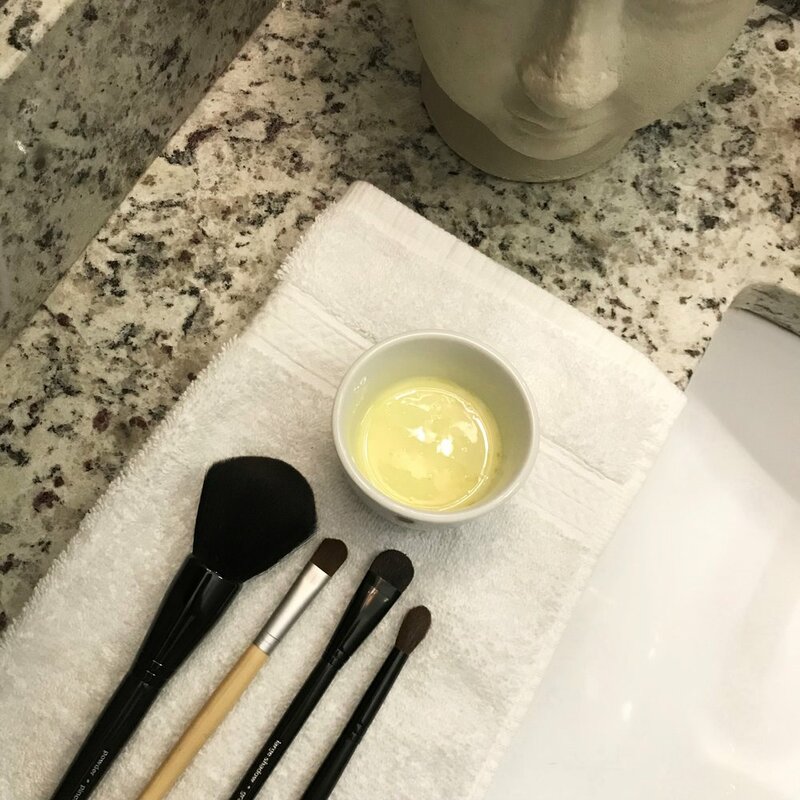 When Becca challenged us this week to come up with a new way to clean or revamp our brushes, I thought, Well that should be easy because I have nowhere to go but up! Now, don’t get me wrong, I replace my brushes, and wipe them off daily, but I have never deep-cleaned them. I guess my lack of enthusiasm for cleaning my brushes stems from my lack of knowledge about makeup in general. When I was growing up, my mom never wore makeup, and I never started until high school, really. Even then it was mostly just mascara, eyeliner, and Chapstick. I’ve worked in kitchens and bakeries most of my adult life, and never really wore makeup there either. Now that I am strictly Front-of-House, and working face-to-face with customers everyday, I find myself reaching for that concealer more frequently. Especially with a baby, my days of no makeup are long gone. I did a little research and experimenting, and came up with an at-home brush cleaner that was easy to put together, cleaned my brushes great, and kept them feeling soft and like new. The mixture I used was one part olive oil to two parts dish soap. I used Method Dish Soap, and whatever olive oil I had on hand, mixing the two together in a small dish. Then I dipped my brushes in the mixture and soaped them up with my fingers. After this, I rinsed them off well with room temp water, and brushed them on a towel. If they still showed remnants of makeup, I lathered up and repeated! This whole process took me eight minutes for eight brushes. I laid them flat to dry, and they were ready to go the next morning! I also have to say that one thing I do to keep my brushes somewhat protected is to store them in a Sephora brush pouch. This keeps my brushes “clean” and safe in my makeup bag.